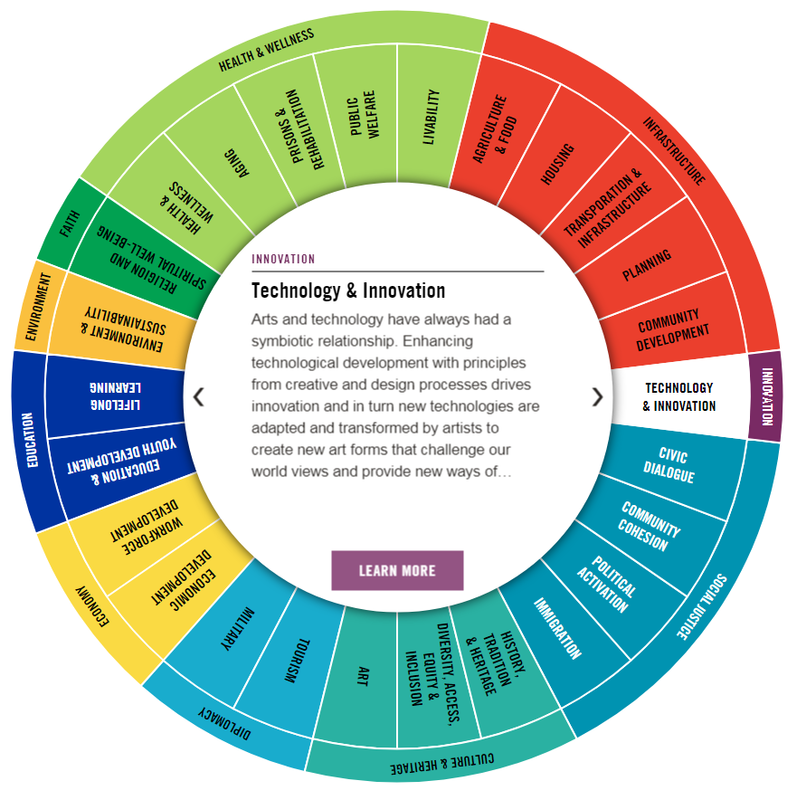 Americans for the Arts has recently released the Arts + Social Impact explorer, a free online tool that allows you to view how the arts reach throughout all sectors in a long-term effect. This project draws together information from top of the line research, example projects, service organizations and more in an effort to make the wide-reaching effects of art more visible. Every topic on the wheel comes with a customized fact sheet meant to be used in companies, public campaigns, and more. The website itself cites every source it uses so that it is easy to explore the information for yourself, and hopefully learn more in the process. These topics include housing, tourism, health and wellness, technology and innovation, and more. 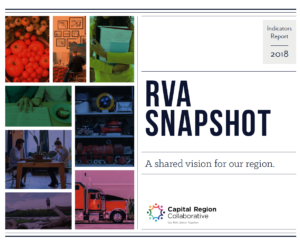 This is the type of tool that helps push collaboration forward, promoting the collaborative gain from investing in the arts in our communities. Be sure to check this tool out on your own time, and contact Americans for the Arts with any comments or questions!